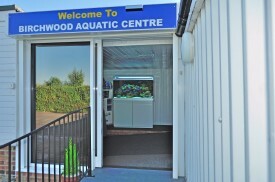 Welcome to the Official Birchwood Aquatic Centre Website! Following a number of suggestions from customers that our website should better reflect the quality of the shop, this is our new Homepage. For a detailed overview of the Aquatic Experience that we offer, please visit our About Us page where you will find information about the tropical fish, marine fish, coral fish and pond fish that we have available. Testimonials contains a selection of comments we have received from our customers, and Where To Find Us gives contact details and our location. 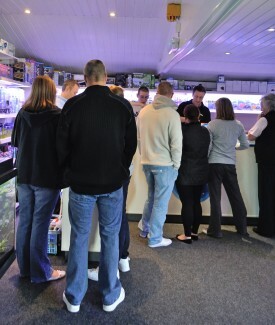 If you are a former Keston Aquarium shop customer, Richard and Mike are here to welcome you, if it is your first visit to our Birchwood branch. With so many former Keston customers coming over to see us here, we thought they deserved a special mention! Thank-you all so much for your loyalty. Our other big news, of course, is the recently-opened fish hall, which has received an enthusiastic welcome from new and established customers alike. The brand-new hall has allowed us to free up more space for aquariums and other dry goods, so that more of what we stock is on display for the first time. We now also have a bespoke live rock display, which means that, apart from the usual boxes and half boxes of rock, customers can choose individual pieces to their own requirements. Another innovation is salted R.O. water, which, unlike some, is always consistent, with an S.G. of 1.023 and is also heated for the ultimate in convenient water changing! So if you are one of our many new customers, or if you haven’t been in to see us for a while, but have maybe arranged a dinner at the extremely popular Beefeater restaurant next door, it’s well worth a visit to see the transformation. 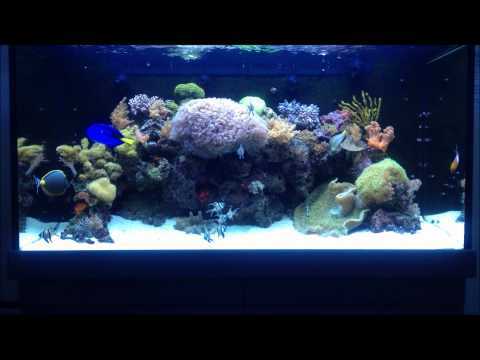 In the meantime, enjoy the images of the shop and we look forward to offering any help to you that we can with regard to tropical fish, marine fish, coral fish, pond fish and this fascinating hobby. We hope the new pictures will give you an idea of what has been achieved.